This was once the Parish church and was situated in about the centre of the Parish. The original building was from approximately 1200 AD and was enlarged in 1754 AD. 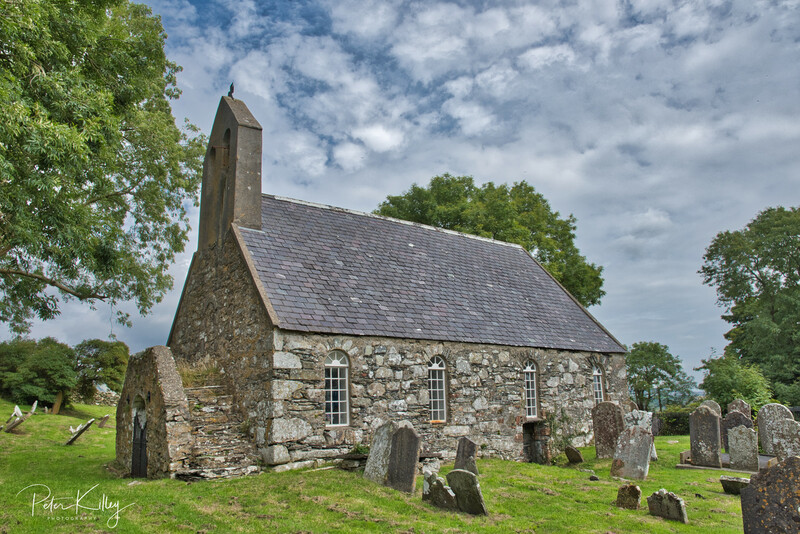 Three bishops are possibly buried in the graveyard here; Lonnan, Connaghan, and Runius. 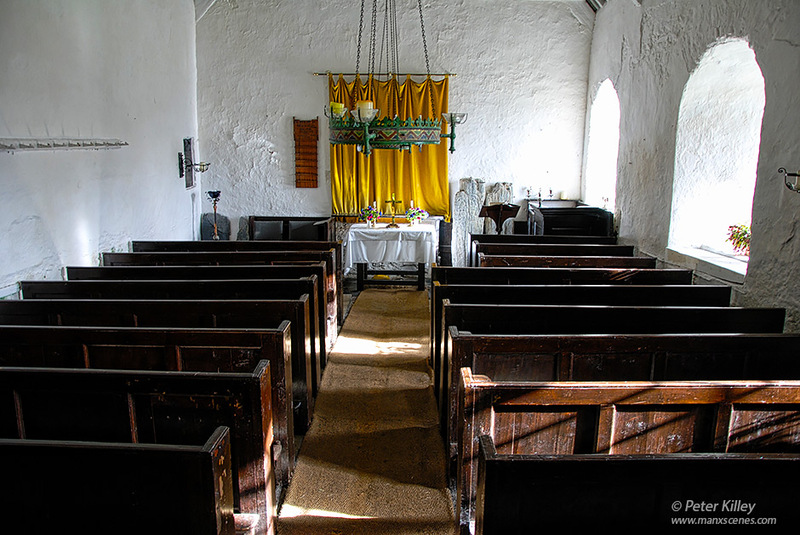 This quaint little Church has no mains electricity and relies on candlelight. 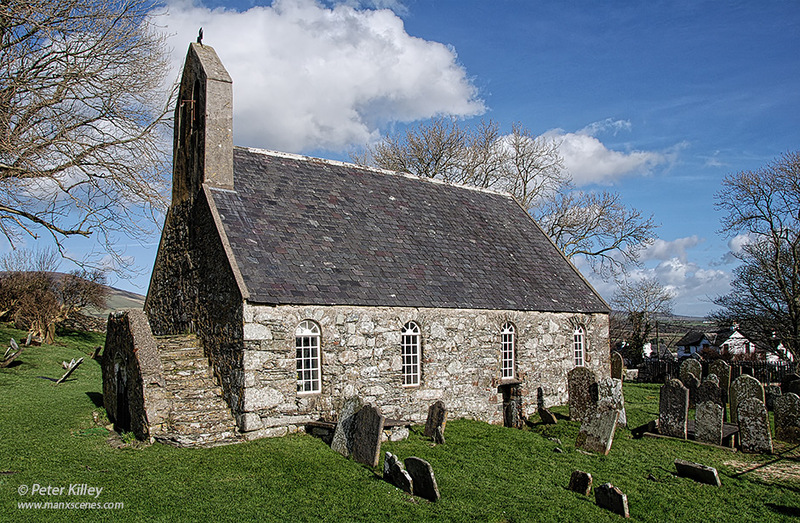 Marown Parish is dedicated to St Runius or Ronan (Ma-Ronan) and is the only landlocked parish on the Island. 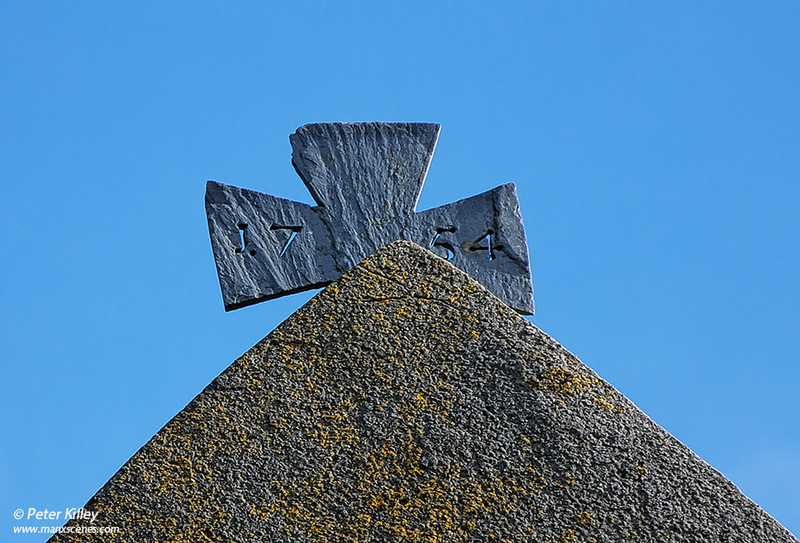 It is thought that originally Marown and Santan were a single parish but the division had occurred by the 14th Century. Once this was the Parish church and was situated in about the centre of the Parish. 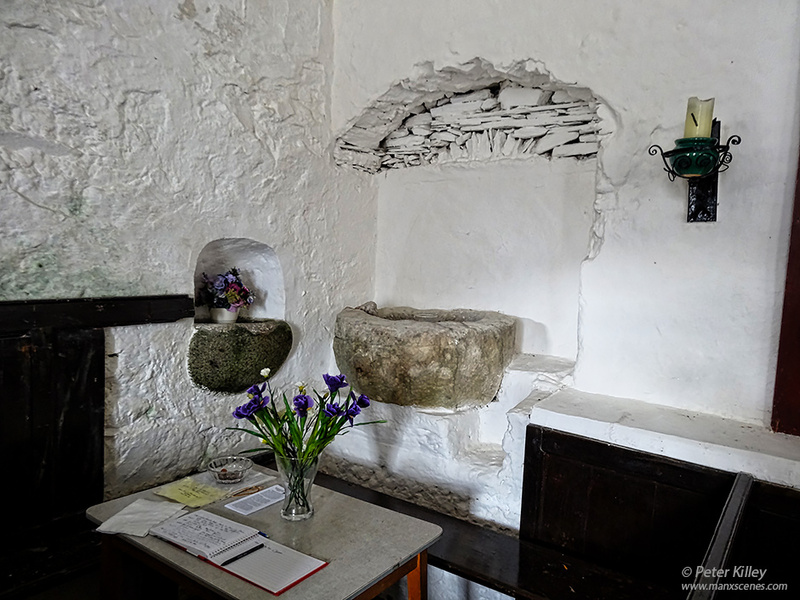 The original building was from approximately 1200 AD and was enlarged in 1754 AD (see below image of slate cross above West doorway and inscribed with 1754) by extending the church westwards by about 5m. The original part of the church can still be seen in the eastern half. 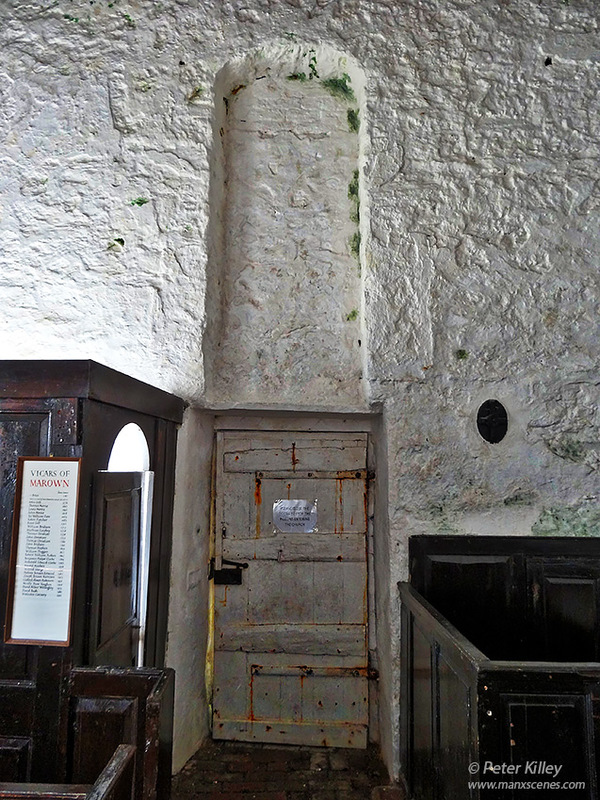 The original door was in the south wall (behind the now Altar) although blocked off it can still be traced in the outside stonework. A new door has much earlier moulded door jamb-stones which, according to records in 1778, were retrieved from St. Trinians. At about the same time the stone steps up to the Western gallery were added to house musicians etc. The door below the gallery entrance has huge flanking stones from a much earlier site. When the new church on the Main Douglas to Peel road was built in 1860 the old church of St. Runius was used as a mortuary chapel. The building was restored by volunteer labour and reopened on August 9th 1959. Services are now held during the summer and for all major festivals. 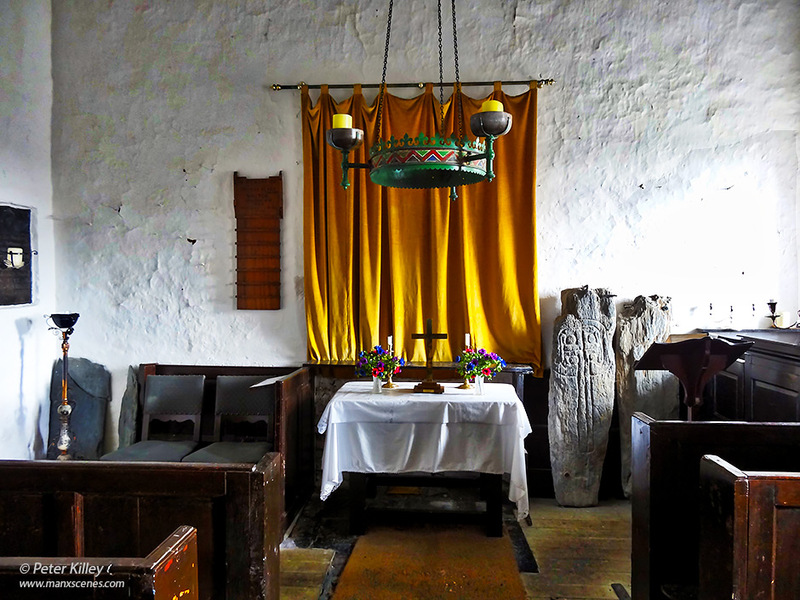 As can be seen by the images there is no mains electricity and this quaint church relies on candle light. Three bishops are possibly buried here; Lonnan, Connaghan, and Runius.